The First Years True Fit C670 Premier Convertible Car Seat is specially designed to provide safety and comfort to children traveling in cars. The seat can fit in almost any car and it can be used facing both forward and on the rear directions. This means that it can be used in cars with different types of interiors and in almost any position inside the car. The seat also has a removable head rest which is easy to remove and put back where it is used depending on the size of the child. 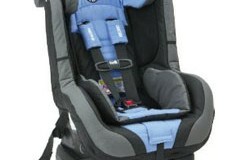 The interior seating space of the seat is large enough and can be adjusted and enhanced using the harness and belts. It is also highly rated for ease use by the National Highway Traffic Safety Administration. This seat is build using comfortable materials which ensures that the user does not have to feel pressed even after seating on it for long. The belts used on this seat are also comfortable and easy to use since there are color coded belt paths which guide one on how to effectively use the belts. Further more, the seat has a cup holding space which allows the user to place cups and other such things that the child might use while riding on the car. It also has built in lock off and latches which ensures that it is firm which is important especially when the car is moving. The rebound energy management system for use in rear facing installation assists in managing the forward rotation in case of a crash consequently enhancing the safety of the user. International safety certification which shows that the seat has been tested and approved to provide both safety and comfort. 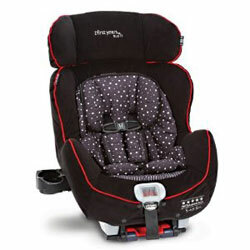 The various features of this Premier Convertible Car Seat make it ideal to be used by parents who look out for the comfort and safety of their children while traveling. 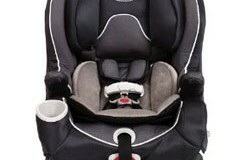 These features make sure that the child is comfortable and still has the freedom to even eat or drink while seated. The safety of the child is also emphasized on and hence the parents do not have to worry. Furthermore, one gets the choice on how to keep the seat since it can be installed in different manners. 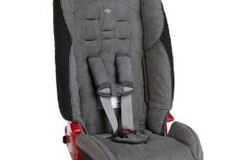 Therefore, the First Years True Fit C670 Premier Convertible Car Seat is ideal to provide safety and comfort to children inside almost any car. Summary : One of the best seats available in the market.